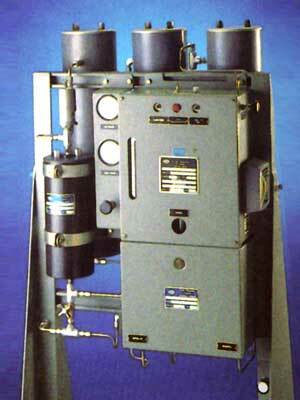 The NRS1036 Series high pressure dehydrator / purifier is a typical example of our lab equipment dryers. These units operate on air/gas pressure up to 6000 psig and flows to 150 scfm. These are replaceable cartridge type systems for easy maintenance that will provide high purity of air/gas. They can be equipped with cryostat monitoring systems with built-in alarms to warn of any minute contamination level. Other options include an automatic pre-filter drain and a dewpoint monitoring system to indicate the degree of moisture content.